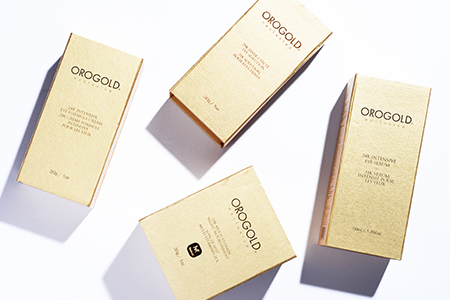 READ ANNIE CHANG’S FIRST EXPERIENCE WITH OROGOLD, THEN SHARE YOURS BELOW. 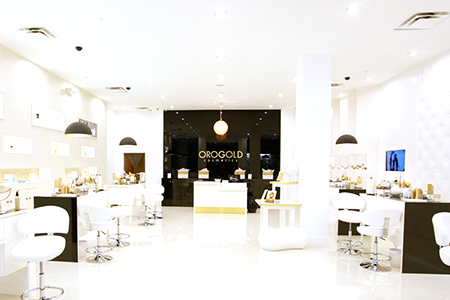 My oro gold cosmetics experience started two years ago, I was lucky to discover Oro Gold store in Santa Anita mall. I was attracted into the beautiful store and met the friendly and professional staff. They offered me to try some of the product line right in the store. 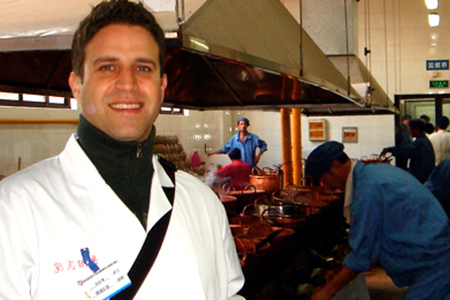 The staff were very resourceful and knowledgable about their extensive product line. After introducing me to their 24K multi-vitmain series, Cryogenic, collagen and Temica series. 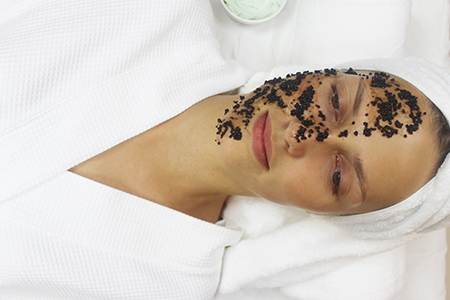 I was amazed at all the wonderful natural and super antioxidant ingredients they use in their skin care. After the professional staff analyses my skin type and condition, they hand selected a couple series that was best in improving my skin. I have very sensitive skin, but after using 24K OroGold products, I was so amazed at the improvement of my skin. It is AMAZING! My skin was glowing and radiant. I was always very particular about what skin care I use, but after using their products. I’m completely convinced. Truly recommend Oro Gold to everyone that want to have glowing healthy skin. I feel so much more confident now! You have to stop by the store to truly experience what Gold skin care is about. With my new radiant skin, my friends and family can not stop asking for my 24K gold secret. If you have not used Oro Gold before, go and try it! See for yourself, I know you will love it as much as I do. Thank you for making my skin gorgeous! I love Oro Gold! Bought my OroGold products at the Oaks Mall in Thousand Oaks, California. Can’t say enough about the staff there. Everyone was extremely helpful and nice. I can’t believe the difference in my skin. My face is so soft! 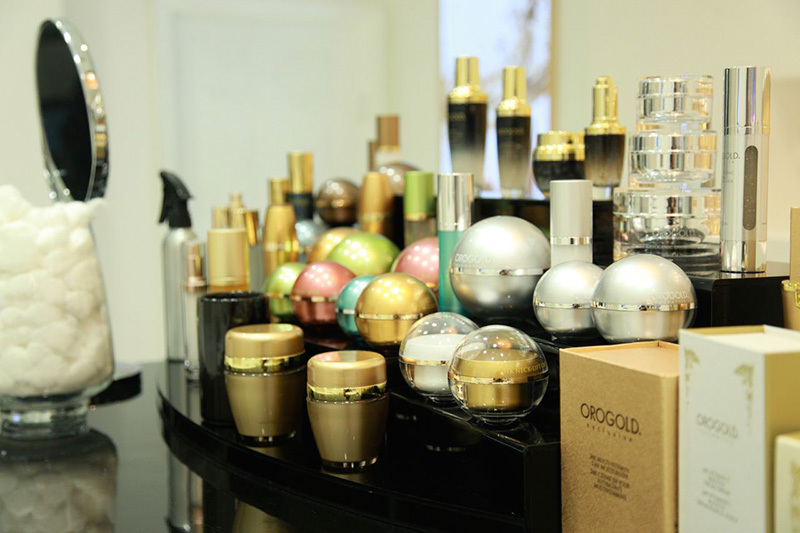 Love OroGold products! 3030 Plaza Bonita Rd, National City, CA 91950, not looking for anything in particular when I Orogold board representative, I wonder if you could give me a few minutes and I talk about the benefits gold, talk about their products, I thought very good to be true. until I got a sample in the eye contour cream felt like acting immediately and I felt strong, plus a soft texture, finally decided to buy 24k dmae tightening deep wrinkle solution and deep peeling, and now it was a good decision ! feel soft and radiant skin! My first experience with Orogold Cosmetics was just a few weeks ago. My friend and I were at the Galleria Mall in Dallas and a beautiful young lady by the name of Tal was standing outside of the store entrance with sample packets on a plate. Tal gave us one and invited us in. She then demonstrated the amazing properties of the gold on us. We were surprised at how wonderful our skin felt. We ended up purchasing several products. When I got home (Colorado) I had some puffiness around my eyes and called Tal. I informed her that I was a celiac (gluten intolerant) and she researched the eye serum and found there was wheat protein in it. She immediately sent me a different serum without gluten and it is perfect. I love this product, I love the Galleria store and I love Tal for her customer service. As such one might think that I am to young to worry about skin care, but I think such a statement to be false. Thus why I was so happy at all the helpful advice and information given to me by the sale associates and even the general manager, of the Stonetown mall in San Francisco, were able to offer. It is my believe that our body and mind should be natured an taken care of, not covered up by items such as make-up. And with stores lie Orogold we are able to provide for such a neccesity. I can not appreciate the amazing customer service provided enough. My first experience was in Singapore at the L1-12, Bay Level, The Shoppes at Marina Bay Sands Canal Level, B2-K1,The Shoppes at Marina Bay Sands… It was my first visit to Singapore and we decided to have a luxury night at the Marina Bay Sands Hotel. While hubby was resting, I went looking for a SIM card for the phone and happened to stop at the Orogold shop as the young girl approached me as I walked by. I don’t normally stop but she smiled, spoke nicely and was very pleasant. She got me in the chair and before you know it, I was buying the Eye Cream and Serum!!!! Then she did a cleanse and yep bought that too!!! I have to say I am extremely happy with the Eye Cream and Serum and try to remember to use it each day and have noticed that I am less puffy under the eyes now. Now I just have to figure how to get some more here in Australia. Oh and I didn’t get the SIM card for the phone!!! THANKS FOR JANE LINTER GIVING IT TO ME AT THE SYLE SHOP U.S.A. I visited the Stonetown galleria in san francisco. I was amazed by the demonstrations and insightfulness of the sales rep. It was fun and i know enjoy the 24k deep peeling. I stumbled into Orogold Cosmetics in the Stonetown Galleria in San Fran. As a young woman, I’ve been trying out different skin cares for over 10 years but was always restless. I had never found something that could consistently make my skin look better. But Orogold changed all that. I tried the eye cream and serum and never looked back. I have gotten so many compliments on my “gorgeous” eyes and how “well-rested” I look now and so I share my secret with everyone…Orogold! I was shopping at one of the local malls in Winnipeg, Canada and I came across the Orogold Cosmetics Booth. The sales representative was friendly and I ended up purchasing the eye cream and serum. My skin has taken a beating in the past from chemotherapy and radiation but the Orogold eye cream seemed just lifted the skin around my eyes. Just erased the lines. I have purchased many other eye creams from other expensive cosmetic lines but this cream is just super!!! My favourite store is in Barrie, Canada. I live in thousand oaks,CA in Ventura County. I don’t visit the Thousand Oaks Mall too often, but Orogold has now given me a reason to. I walked into Orogold, after being kindly greeted by a beautiful young lady, and the atmosphere was brilliant. It was open and clean and had all the products neatly organized on each counter where I was led to one to sit down to test the product. The beautiful young lady then began to show how the product was to be applied while explaining the benefits of it. It was obvious she knew everything and beyond about the product and was walking proof, being one of Orogolds consumers as well. 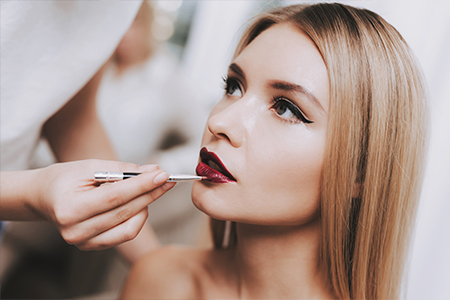 She tried many products and was genuinely happy to have found Orogold, for it made a dramatic difference in her skin and overall the way she felt about herself. I could tell by the way she expressed her gratitude for it and how she was not pushy towards me to sell the product, but just wanted to share the same wonderful experience she had. So, with this beautiful young lady in front of me showing how Orogold does in fact work and work to anyone’s expectations, I bought the whole kit and couldn’t be more satisfied. The whole experience from the moment I walked up to the door left me feeling excited and put belief back into a cosmetic line that rings true to its name. It will make you feel like 24 karats! Who doesn’t want to feel as good as gold, right? My first experience at Orogold was about 8 months ago. I was on a shopping spree with my friend at Hillsdale mall, California, and noticed a new store, so I walked into Orogold not knowing what to expect. As soon as I entered the store I was greeted by the very friendly staff. Then I was introduced to all the amazing products. Not knowing, at the time, if the products were as amazing as advertised. I only bought one item to see if it held up to the raving reviews given by the sale associates and to research the product before making a large commitment. 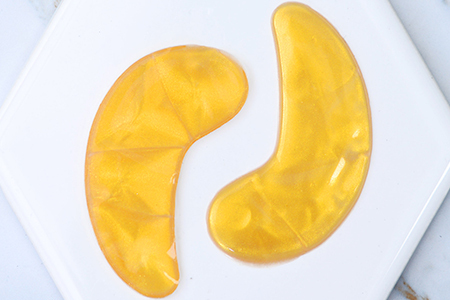 Through using the product and researching I fell in love with Orogold. I now only use Orogold and when complimented I tell all my friends about not only the amazing products and the benefits of gold but also the amazing staff at the Hillsdale store. I have even gotten my mom obsessed with Orogold. My skin has improve so much that I no longer wear make-up during the week and I always have some sort of Orogold on my skin. This is the best cosmetic line I have ever used, so thank you Orogold for making amazing products that actually improve your skin! I received a consultation at the Hillsdale Mall in San Mateo, Ca. I am so pleased with this product. I am 35 and just at the point where I need to start worrying about wrinkles, etc. The moisturizer makes my pores look tiny and my skin is very soft. I love this brand of product. I can’t quite decide whether Singapore’s Marina Bay Sands, or Maui’s Lahaina store, but one thing is for sure- wherever in the world you come across OroGold it is quite a treat! It certainly became my favorite place to find while traveling! 24k for life! I went to the Park City mall in Lancaster PA, I had an appointment, but as I walked by the Oro Gold store, one of the girls offered me a sample. Her name was Ori, I told her I only had 20 min.until my appointment, she said no problem and proceeded to apply the wrinkle solution to my eyes, after just 2 minutes, I was amazed! My eyes looke less puffy and much brighter, I was sold. Then Ori demonstrated the multi vitamin deep peeling, again I was amazed. I did make a purchase and an appointment for a facial, can’t wait! It is an expensive product line, but it really works and there was no pressure. I am unemployed at the moment, Ori was very understanding and helpful. I will be back to purchase more as soon as I get back to work. Everyone there was so nice and seemed very genuine. I purchased some products at Santa Ana Mall in Orange County, CA yersterday…and I love these products! my skin feels amazing and looks radiant. The staff was very professional and I having a facial done tomorrow! I am very excited to see how my face is going to look! My experience was at the Tyler Galleria in Riverside. I bought the peel and moisturizer. It was wonderful. The salesperson in Douglas Shop , in Capacity Mall which is one of the biggest malls here in İstanbul,Turkey,offered me this wonderful invention Orogold 24 K Deep Peeling.Firstly she tested on my brother’s wife’ s Face and a little bit on her hands.We could not believe in our eyes how the peeling works.We bought recklessly and quickly.I am using it once a week and ı must say that there is really a big difference in a month. People say How ı look beautiful and young more often than before. Now in a few weeks I Will go and have the one for body peeling. My experience was a bit rushed but wonderful. I was in a hurry and had been clothes shopping at the Escondido , California Westfield mal when Don from OroGold offered me a sample. I satisfied assuming I’d keep going but he said come in for a minute and try this product. I am 42 and have under eye circles and lip lines. He put the 24k Gold DMAE Deep wrinkle Tightening cream on. It worked instantly! I was so surprised and in a hurry I bought it right then and there. Don was a great salesman.Now I use the DMAE once a week for about 2 months and I can really see the difference. I wish I could afford ALL of the products! I was in Key West FL walking down Duval Street, and they had a sales consultant passing out sample packets. She invited me in the store, and asked me what products I used. She tried a few products on me. My kids (who were patiently waiting) saw a difference, and I bought 2 eye serums, face wash, toner, after shave for my husband and a peel. The store was beautiful and the personnel there were very knowledgable. My first ever experience with OroGold was at your Thousand Oaks, California location. I was so happy to find out that you had one there! I walked inside and was greeted very nicely by a young lady. She tested many products on my skin and they worked like magic! I ended up buying your moisturizer and face scrub for a year supply. I will NEVER stop using your products. The store looks so beautiful inside and everyone is very nice. I love OroGold! My experience is from the Westfield Plaza Bonita store. Turning 60 this year meant I was rethinking my skin care regime. I entered the store and was treated to a cleansing and mini facial in the store. Mali, the manager, explained the benefits of gold and demonstrated the most beneficial products for my concerns. Having very sensitive skin, I had concerns but the products are gentle enough for me, yet effective. My skin is strong, clear and supple with less redness. I’m looking forward to trying the new caviar next week. My experience with your product was last year in the mall in Las Vegas. I purchased the day creme and I truly loved it. Came home to find out I lost my job but at least I had Oro Gold to make me feel good. Just finished it a month ago and I found you on fb. Love your product. I am wishing My name is pulled to experience more of your products. Thank you. Just visited your Whistler Store. I just happened to be walking by when it caught my attention. I was very impressed by just the demo and how friendly the associate was. He knew just by looking at me what I would be concerned about. I can’t wait to get home from my trip to start using my new products! Can’t wait to see the results! I bought Orogol at Century Mall, California. I love the products! The peeling is fantastic, nothing smoother than the Vitamin C and love the day lotion. I turned into a believer! I was at the Arden Fair Mall in Sacramento buying a new pair of glasses. While waiting for them to be made I walked by the Oro Gold store and was drawn in by the Manager to talk about my skin. He was informative, understanding and very knowledgeable about his products. I was surprised after trying the products in store and was very amazed at the instant difference. I have only had my products for a week and I’m loving them. I want to thank you for an amazing difference in my skin already. You have earned my loyal business. I will be sharing your product results with all my friends. Truly amazing. Thank you Simon. Cel mai bun articol despre My Oro Gold Cosmetic Store Experience pe care l-am citit! I had the pleasure of getting an Orogold representative in Key West, FL by the name of Nicola show me the Orogold products and I was really impressed with not only the quality of all their products, but also the sales representative’s positive, informative and caring approach in showing all the Orogold products! Whether it be moisturizer or ab exfoliate cream, she really made my experience with Orogold an absolute delight. Thank you! I recently visited Park Place Mall in Tucson, Arizona and was offered a free sample of lotion. I spoke to Eric for a few minutes and was offered a chance to see the different products in the store. Everyone was very nice and I felt comfortable there. I was shown how the peeling mask and lotion worked when he put it on my arm for a demonstration. I was very impressed. I ended up buying the products and have been using them for about a week. The lotion is amazing, it goes on smooth and is not greasy. Although it is only been a week my face feel much smoother. I know that I will continue to see a difference and recommend this to everyone.